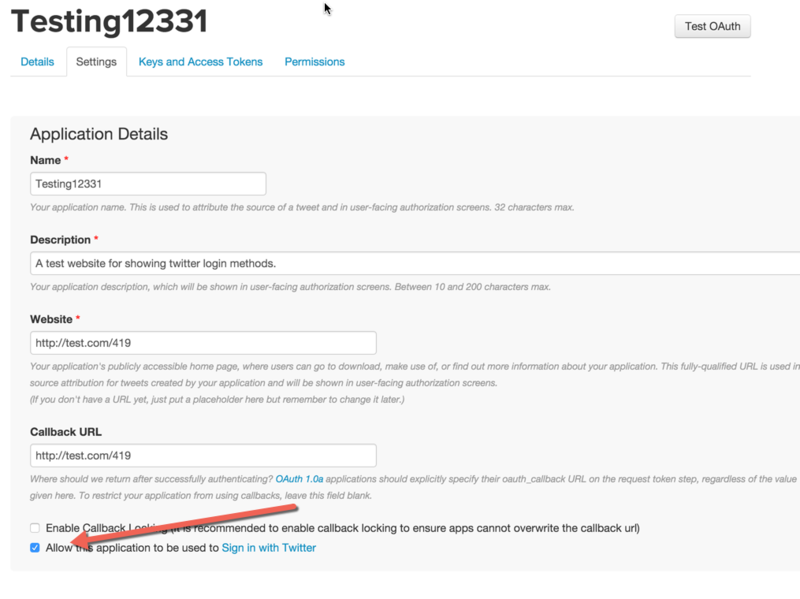 You can allow your members to sign in to your website using their twitter account. In order to do this however, you first need to create an API key. First you need to go to the following URL and sign in using your twitter account. 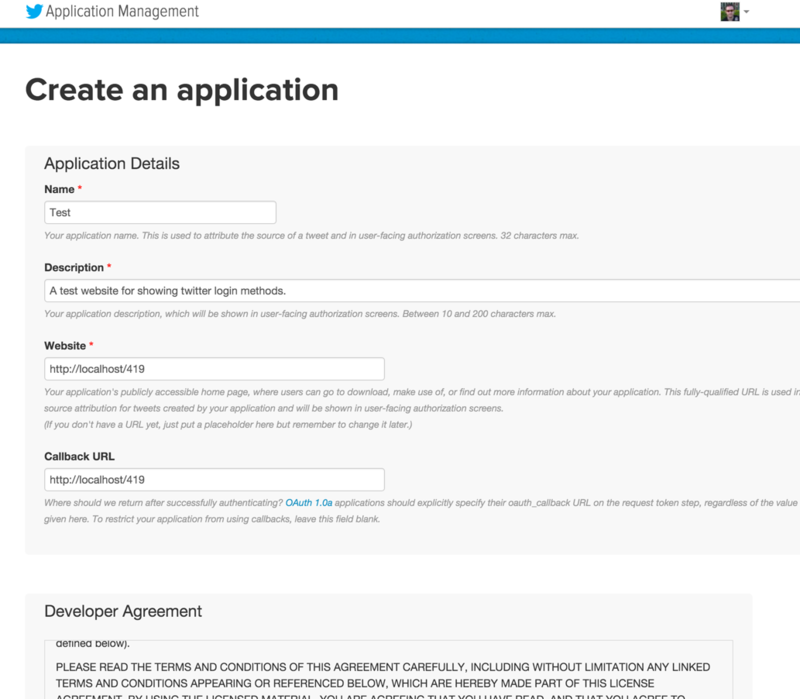 Once selected, you will be prompted to fill in the details for your site. Fill these in similar to the below, replacing the details I have entered with the details relevant for your site. 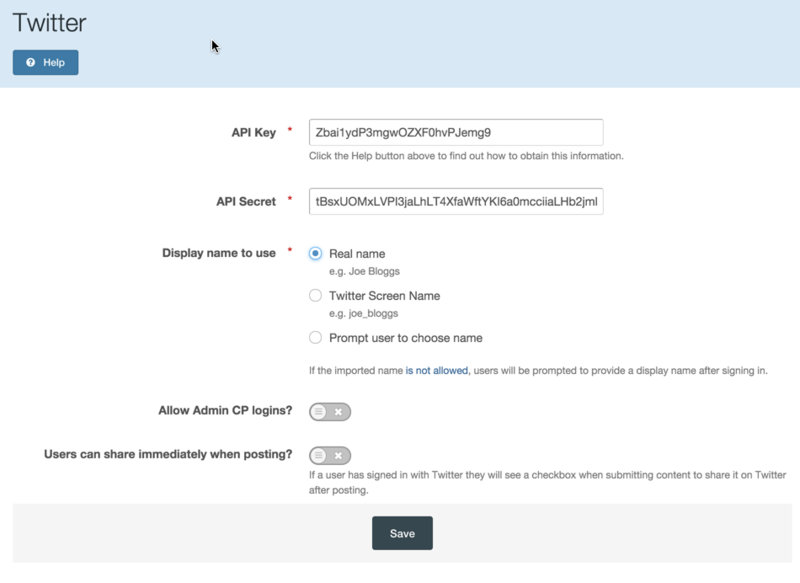 Once done, agree to the disclaimer and click "Create your twitter application"
The URL below used is http://localhost/419 because the example location I used is this. You should be entering your own site URL. For example, if your site is located at http://www.someurlhere.com then that is what you would enter. Similarly if you installed at http://www.someurlhere.com/forums this is what you would enter. there are now 2 things you need to check. First of all take a look in the settings tab and ensure that "Allow this application to be used to Sign in with Twitter" is checked. 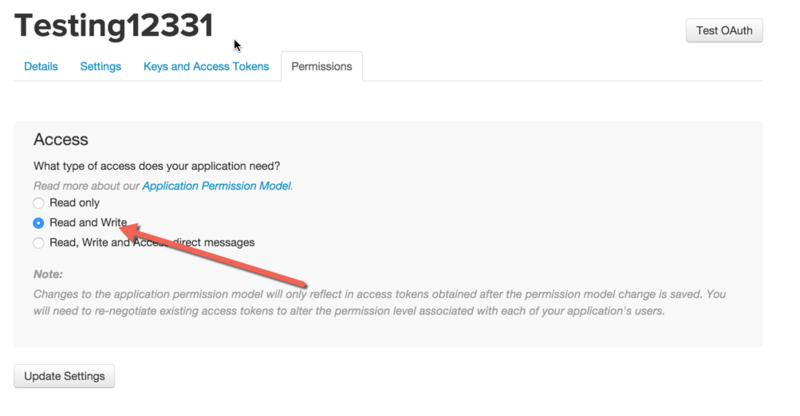 Then select the permissions tab and ensure it is set to "Read and Write"
Once you have done both of these, you can get your application key and secret from the "Kets and Access Tokens" tab, which you will need to enter into your admin cp. 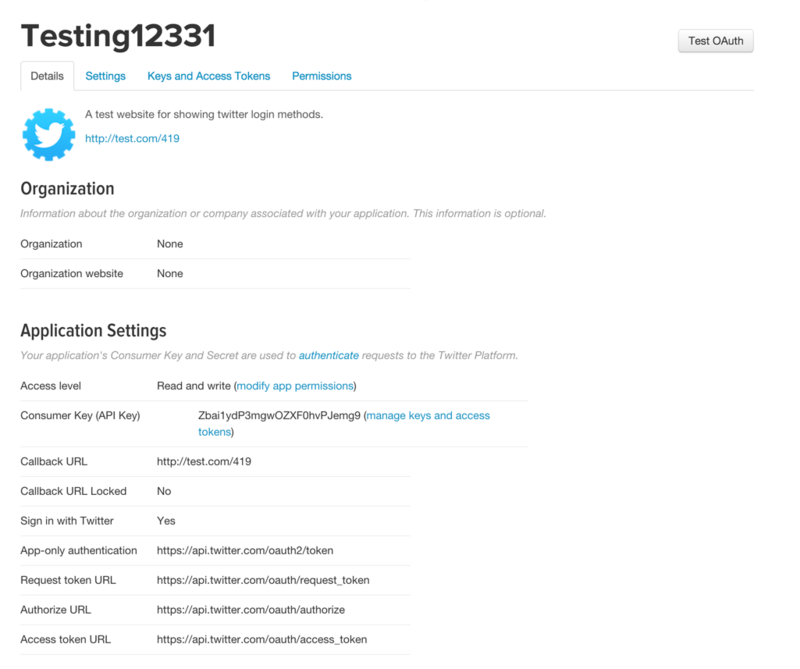 Within your admin CP, go to System>Settings>Login Handlers and select the pencil icon at the side of the twitter login method. You can then enter the details you generated above, choose which name to use for the account, and save.